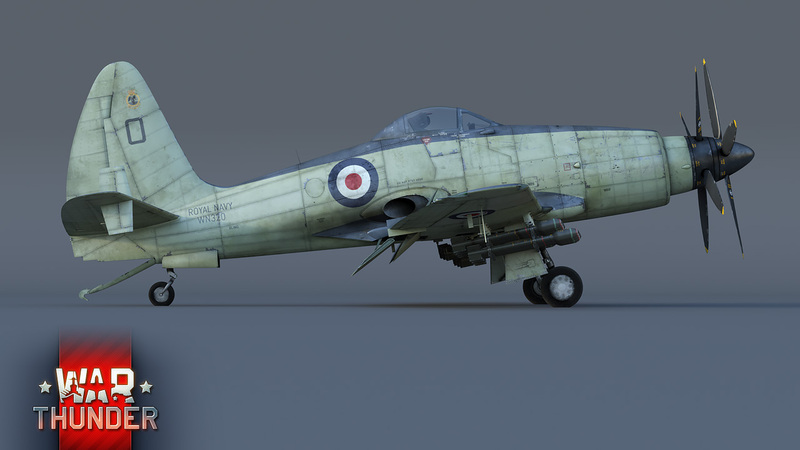 The Westland Wyvern was the first series-produced combat aircraft in the world equipped with a turboprop engine. It will also be the first of its kind in War Thunder, as a Premium vehicle. Meet the new addition to the game, one of the most extraordinary carrier-borne aircraft in history! The Westland Wyvern was actively developed after the end of the Second World War. The immediately noticeable distinctive features of this aircraft are its unusual appearance and two contra-rotating propellers. But that’s far from everything that makes it stand out from its contemporaries. The aircraft is equipped with a turboprop engine, which provides an impressive weight-lifting ability. Finally, it is armed with four 20mm cannons which automatically make it a dangerous opponent to any opponent unlucky enough to become its target. Due to the originality and unusualness of its design, development of the aircraft dragged on for a long time. The first prototype took to the skies in 1946, but series production of the Wyvern didn’t start until 1953! Late for the Korean War, the carrier-borne plane managed to take part in battles of the Suez Crisis. Nonetheless, the combat history of this aircraft does not stand out as one of variety and depth. That said, in War Thunder the Wyvern has every chance to prove itself all over again. The chief advantage of this turboprop aircraft is its flexibility. 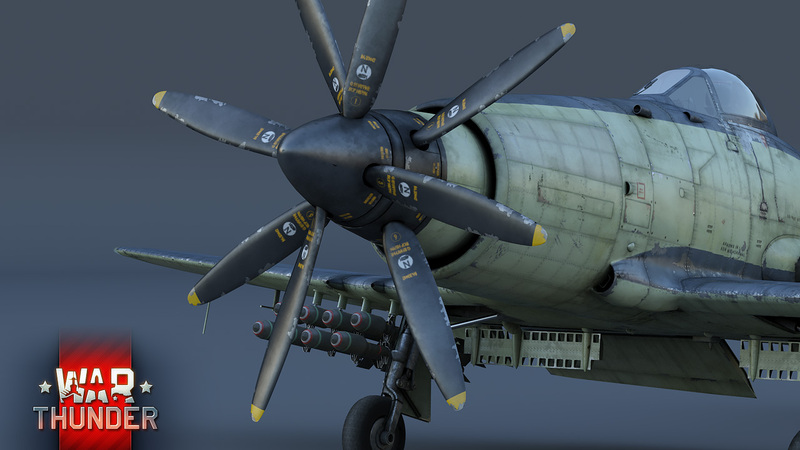 Apart from its fantastic frontal cannons, the aircraft can also be armed with torpedoes, bombs or impressive rockets. 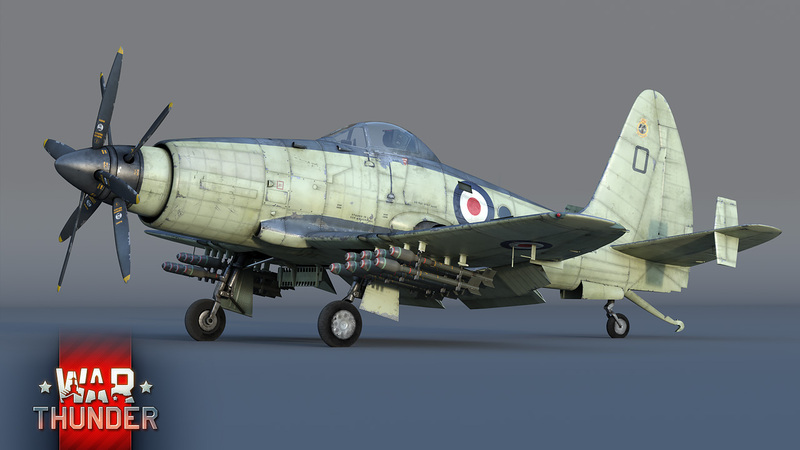 With a complement of 16 rockets, the Wyvern will be a deciding force in mixed battles in War Thunder. Naturally, even the most unusual vehicles in the game have their weaknesses. Paradoxically enough, for the Westland Wyvern it is speed. The aircraft has trouble flying faster than 380 mph (611 km/h), and can only manage that only at low altitudes. A peculiarity of the Python engine is that at higher altitudes, its power drops catastrophically. Apart from that, it has no defensive weaponry, so it is recommended to avoid letting anyone get on your six. 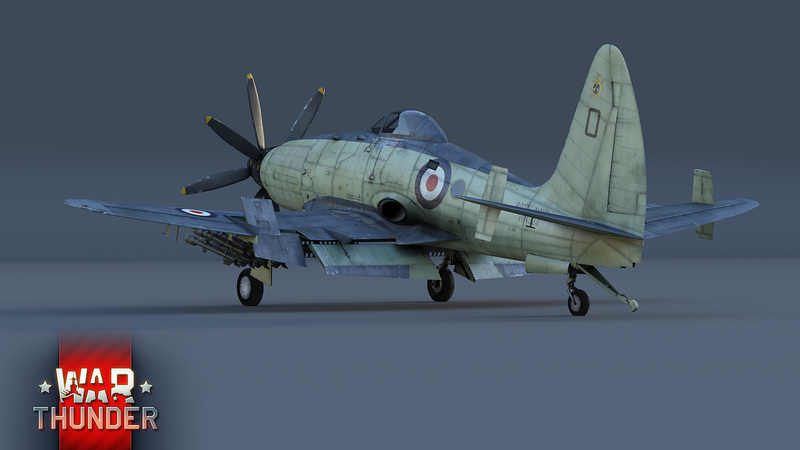 How will the Westland Wyvern perform in battle? We'll find out very soon. In the meantime, keep an eye on our news and look forward to this aircraft! The Wyvern is a rather obscure and unique aircraft. 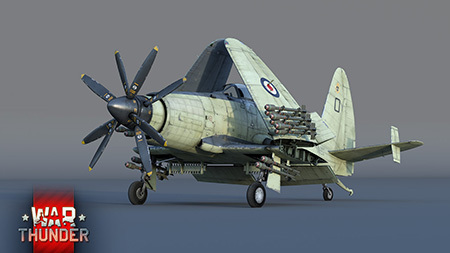 Currently the Fleet Air Arm has no unique premiums (Hellcat and Avenger are American designs) and this will make for an excellent candidate. Sadly yes, but they have to make money somehow. Perhaps they'll add more non premium aircraft. Why on earth is a mass-produced craft like this just premium material? Will there be a standard tree version? The Wyvern is actually an ideal premium candidate. It had around only 130 made and its a rather obscure yet unique design. Currently the British Fleet Air Arm has no unique British designed premiums (Hellcat and Avenger are both lend lease American designs). The Wyvern is not one of the well known aircraft of the FAA, but is still a great aircraft. Thus it is ideal for a solid British premium. It doesn't make much sense to me either. But they did make the Ki-44-II Otsu which was mass produced and saw service, a premium.